2017 was huge! I unexpectedly accomplished so many bookish things. I didn’t even make any bookish resolutions at the beginning of the year other than to read some books. I certainly didn’t expect to be writing a post on bookish reflections for my very own blog! I became a member of NetGalley. One day as I was adding a review to my Goodreads account, I stumbled upon some NetGalley mentions and I thought, “WTH is that?” and then I googled it. Lo and behold, welcome to one of THE COOLEST resources EVER for book lovers, avid readers, and recreational writers. This is a real place where you can pick books, read books for free, write your opinions on them, and then someone might actually care to read what you wrote? It’s TOO GOOD TO BE TRUE. I ended up reading 21 books for NetGalley this year. I surpassed my planned goal on Goodreads. Goodreads is such an awesome, amazing, friendly, and supportive community. Did you know that they are owned by Amazon? I hope that someday they can create a button that posts your Goodreads review to Amazon books. That would be very handy. I set a goal of 35 books and surpassed this goal. I think I’ve been reading a book per week as time permits. I read mostly in the evening, specifically before bed, so I can only devote about an hour of reading or so per night. It’s how I relax. I noticed that a lot of NetGalley members had blogs and that NetGalley recommends having a blog to post book reviews. The NetGalley blog says that publishers grant access to bloggers with a wide audience because it helps spread the word about their book, and that having a blog increases the chances of getting approved for Advance Reader Copies (ARCs). 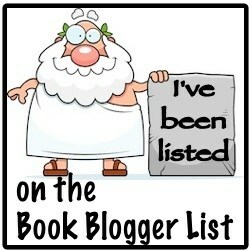 I was granted access to a few books prior to creating my blog, but my success rate was about 50% or lower. I created my blog in hopes of getting access to more books, but it has turned into SO.MUCH.MORE than that. I’ve been having a blast getting to know the blogging community, refining my creative writing skills, sharpening my review perspectives, my blogging knowledge, and honing my social media skills. It’s been so fun, and these skills have even helped me with work. My husband Eric actually helped me to create a WordPress account, and configured the first version of my blog. Thank you, Eric, for taking the leap for me and jump starting my blog. I love you! There are a lot of AMAZING bloggers out there that I WORSHIP, and many of them will read this post. Yes, YOU inspire me and I’m so grateful! I’ve written about 35 blog entries this year. I became a member of Edelweiss. After I published a blog post about being rejected by NetGalley here, my friend Lynne who is the influential and talented blogger by the name of Fictionophile, suggested that I check out Edelweiss. I knew about Edelweiss, but I had heard that it was extremely overwhelming. She reassured me that it’s usable, a great resource, and dispelled my fears. With Lynne’s encouragement, I decided to check it out and then I joined as a member. I LOVE EDELWEISS as much as NetGalley! Thank you so much, Lynne. The website is a bit intimidating at first, but like anything else, you can learn it over time. And some patience. Plus there are many handy dandy How-To videos for new users, and their support team is super responsive. I have submitted 31 reviews to Edelweiss so far. I participated in my first blog tour! Blog tours are new to me, and I was so jazzed to be invited to be a part of one (here) for The Wife Between Us by Greer Hendricks and Sarah Pekkanen. It was super fun and I was happy to be included. Tweeting – I finally DID IT! When I publish my reviews, I also tweet them and include the author and the publisher. Sometimes the publisher tweets back or retweets, but 95% of the time THE AUTHOR tweets back and that makes me SO excited! Sometime the author even reads my review. And one author is following me on Twitter. I know, it’s totally crazy. Twitter has transformed the way that we communicate with authors (which are like celebrities to me) and they are so much more reachable now. I have had so much fun tweeting. The authors have been really, really nice. Drum roll….. and….. here are my standout books of the year! These books are my favorites that were released this year or before. It does not include any books to be published in 2018. Favorite Book of 2017: I couldn’t pick just one, so IT’S A TIE! Little Fires Everywhere by Celeste Ng, and The Rules of Magic by Alice Hoffman. And that’s a wrap! Welcome 2018 ~ I can’t wait to see what you have in store for me. Congrats Abby on everything ! !😍💕 Such a big milestone love !! Little Fires Eveywhere and Rich People Problems were SOO GOOD 😂😂🤘! Congratulations. I had no idea that you have only been blogging for a year. I have been looking around the blog and its pretty impressive. So many wonderful things. I hope 2018 will bring you even more blogging milestones and all the best with your goals. I really need to read Behind Her Eyes. It sounds great! Thank you Diana, for your nice compliment! It means so much. You are an inspiration for me! Hi Sid! A blog tour is when bloggers participate in an organized event to publish their reviews during a specific timeframe, usually around a book’s release date. Blog tours are usually organized by a touring group, the author, or the publisher. The intent is to generate internet buzz about the book, and publicize/market it. I’ve done two, and both times I was asked to participate. They’re fun!